We want to solve things. Puzzles, riddles, math problems and other peoples’ problems in life. When others come to us with a problem it is almost instinctual to attempt to solve it. This is due to us wanting to help as well as our desire to solve problems. When we ourselves are not experiencing the problem we actually have an advantage of seeing different perspectives and finding solutions more easily then the person experiencing it. So when others come to us to talk about a problem why do they seem to not want our “good” advice? Try to think of the last time you were upset and wanted to talk about it. Did you want someone to solve your problem for you so you could be done with it or did you want to vent about it and feel that your feelings were validated? Typically when others begin to vent to us about an issue, they generally want to let it out and feel justified. We do not usually take the advice of others (no matter how good it is) because we like being in control especially when it comes to our own lives. So what do we do when someone comes to us with an issue? This article will provide easy to follow steps of how to handle situations in which others “ask for advice”. Examples are useful so let’s start with one. Your friend comes to you and says they are unhappy with their job and they do not know what to do. If you were giving advice you might say “find a new job” “go back to school” or “you’re just having a bad week you love your job”. While these are all possible solutions we did not really find out what our friend is thinking or feeling. When others come to us with a problem the first step is to ask questions. Find out why they are having this problem and how they feel. If we asked a question such as “what do you feel unhappy about with your job?” we could gain more information about the problem. They might say “well I love what I do but I do not like my hours”. If we had told them to “go back to school and find a new career” we would have accidentally given them advice that they would not have wanted. Their issue is not the job itself but the hours. Now that we have more information we still do not want to solve their problem for them. We can keep asking questions to help them talk it out until they find their own solution. Try asking questions like “what kind of hours would you like?” and “does your career type typically have hours that you would like?”. Our job is not to solve their problem but we can help guide them to exploring the answers they already have just by asking them questions. They may not find their solution in that moment but they will feel heard and validated when you show in interest in them by asking questions. 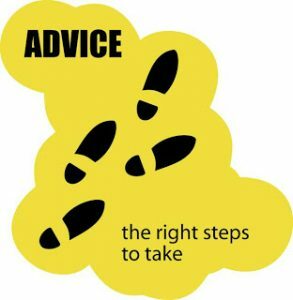 Another tip to (not) giving advice is to mention positive qualities about the person. Let’s say our friend comes up to us and discusses their concerns about whether or not they should ask for a raise at work. Instead of telling them whether or not they should do it and how to do it we may want to start with building their confidence and letting them find their own way that they feel comfortable with. They understand themselves and their boss/work environment better than we do so they would really have the best solution for themselves. We could point out their positive qualities such as “I know you’re a very hard worker” or “you’ve been there for a while and seem great at taking on new responsibilities”. We have to be careful with giving them advice here because if we tell them to ask for the raise and it goes badly they may become upset with us. We want to be there for those we care about but we want to make sure when it comes to their life decisions we are putting the ball in their court. We can also use those questions we talked about earlier such as asking “when was your last raise?” or “what kind of mood does your boss seem in lately?”. These questions will help them reflect on the situation and guide them towards making a decision. A tricky area of giving advice is the chance we take in accidentally shooting down a solution they have already come up with. If they state a problem to us we should start with asking more questions and mentioning their positive qualities. This gives them a chance to tell us what possible solutions they are thinking of. This technique can stop us from accidentally giving them a solution that goes against the solutions they have in mind. Imagine your friend tells you they are having problems with their spouse. They go into stories about how bad it is getting. We may start giving them advice on how to get out of the relationship or how they can do so much better. But what if they are leaving out the part that they do not want to leave them? By telling them to leave we may actually push our friend away from us because now they think we have a negative view of their spouse and their relationship. Love advice can be the trickiest of them all. The safe bet is to ask questions such as “what do you want to do?” or “what would staying with them feel like for you and what would leaving them feel like for you?”. By asking them about multiple options you are forcing them to think about the possible solutions rather than putting you in an uncomfortable situation in which you feel you need to make an opinion on the situation. When others tell us an issue or situation they are struggling with we often times will tell them about a time we went through something similar. This can be a helpful way to normalize what they are going through and help them to not feel alone. However, this is also a tricky area as there is a fine line between sharing to help them and making the story about yourself rather than them. When sharing similarities with someone we want to ask ourselves if we are sharing it to help them feel less isolated or to share our story because we want to talk about it. We all need time to vent and their story may have brought something up for you that you now want to share. However, this is not your time. We need to let others have their moment. By letting them have their moment we open the doors to having a relationship with them in which when we need to share they will be there for us as well. So if you’ve decided you are sharing because you think it will help them feel less isolated here are some simple rules to follow. Wait until they are done sharing and then make sure to focus on them by asking questions. Then share your story but keep it short and inform them as to why you are sharing it. Let them know you want them to know they are not alone. Inform them as to what solution you did in your situation and how it helped or hurt you but that this was the solution for yourself and they will need to find one that is specific and right for them. Make sure you do not make them feel that your solution is the right one for everyone. You are simply offering a perspective. Sometimes others will literally ask us “what would you do or what should I do?” We need to be careful here. They are asking for advice but we still have the option to not give them direct advice. Instead we can offer options. Offering options allows us to help them but without locking us into giving them a solution that they may not like or that they use and then it backfires. Let’s use an example to help. Your friend might ask you what you would do or what they should do in regards to whether or not they should quit their job. Unless you will be able to cover their bills you should not be making this choice for them. So try offering them possible options and asking them what seems right for them (this way they are in charge of making the decision and the choice is on them). You may tell them what you would do by stating it in a way like this “I’ve always practiced the rule of finding another job before quitting”. You’re not telling them what do but you are telling them something that you believe or that has worked out for you in the past. Also, instead of offering advice you can offer help. You could tell them if they do decide to quit you will help them with their resume. You did not tell them to quit you simply offered help if they decide to do so. Offer Help with the solution THEY decide. The next time someone comes to you with a problem try to keep in mind they may not be looking for advice but simply to share their story with someone. Ask questions, validate their feelings, and mention positive qualities to boost confidence. Only share a personal story if it will be helpful but keep it short. Offer options or support but do not give them a clear cut solution with the belief or expectation that they should follow it or that it’s the only solution. Backhanded Compliments… Identify, Recognize, & Resolve.